I have been tracking, and writing about, the technical side of recreational boating for three decades. In that time, I have come across, or been approached by, numerous inventors and developers with an idea for a product that they are sure will take the boating world by storm, i.e. by developing and marketing electrical or hybrid propulsion systems. I always ask them this question: “Do you have sufficient funding to survive at least five years without making a profit?” They think I am joking. I am not. The marine marketplace is diffuse, conservative (slow to change), and hard to penetrate. Looking for customers is like looking for a needle in a haystack. Marketing costs are high. Over the years I have seen many people try to break into this marketplace. Many fail at considerable personal financial cost, sometimes in the millions of dollars. A few have built profitable companies, but by the time profitability is achieved, the founders have frequently ceded control to outside investors—they no longer own the company they created and all too often are now working for the new owners. If the founders still own the company, it is often because it’s not sufficiently attractive to secure outside offers, in which case they are tied to it, and sometimes almost a prisoner of it, until they retire, at which point the company often dies. I thought it would be interesting, and a salutary lesson for would-be entrepreneurs among our readership, to look at this through the histories of two companies, with very different investment and growth strategies, operating in the electric propulsion and hybrid markets. I first met Christoph Ballin and Fritz Böbel, the founders of Torqeedo, almost a decade ago. 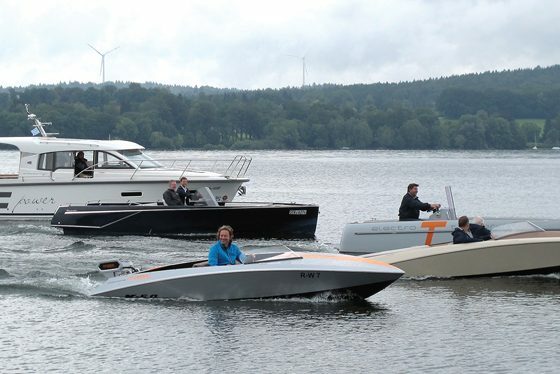 A year or two previously, Ballin had bought a house on Lake Starnberg, Germany, where fossil-fueled motors are outlawed, and had acquired a skiff with an electric outboard. Böbel, a highly qualified electronics engineer, took one look and said: “This is a horrible motor. With new technology we can do three times better than this!” Ballin conducted a market study and Böbel a technical study. Deciding there was a viable business model, they resigned from their respective jobs and launched Torqeedo in 2005 with an initial goal of producing motors at least twice as efficient as the competition. Having no previous experience with electric outboard motors, Ballin and Böbel were unhampered by preconceptions. Their single-minded pursuit of efficiency led them to adopt a new generation of brushless permanent-magnet electric motors driven by electronic pulse-width modulated motor controllers (the same technology used on a much larger scale in all hybrid and electric cars). 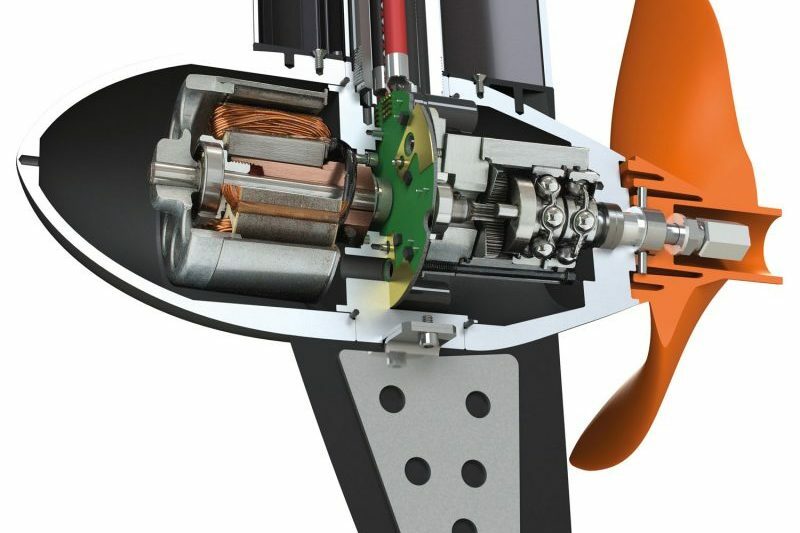 Böbel and Ballin made their motors small enough to fit inside a pod not much larger than a propeller hub. Putting the motor right next to the prop eliminated losses that arise from transmitting power down a shaft through one or more right-angle bevel gears. Immersing the pod kept the motor cool, eliminating the need for a complicated cooling system. They also put the motor controller into the pod so all that ran down the shaft was wiring to the integrated drive unit. Then they invested heavily in developing a compact, lightweight lithium-ion battery pack to power their outboard motor. Böbel and Ballin hired a German container-ship and submarine propeller designer. Using modern digital design and rapid prototyping techniques, they created four generations of propellers in six weeks, learning that the key to propeller efficiency is a large diameter and slow speed. Unfortunately, the only way to make motors small enough to fit in a pod is to have them run at high speeds (up to 8,000 rpm). So they designed a miniature 8:1 planetary reduction gear, which they also built into the propeller hub. 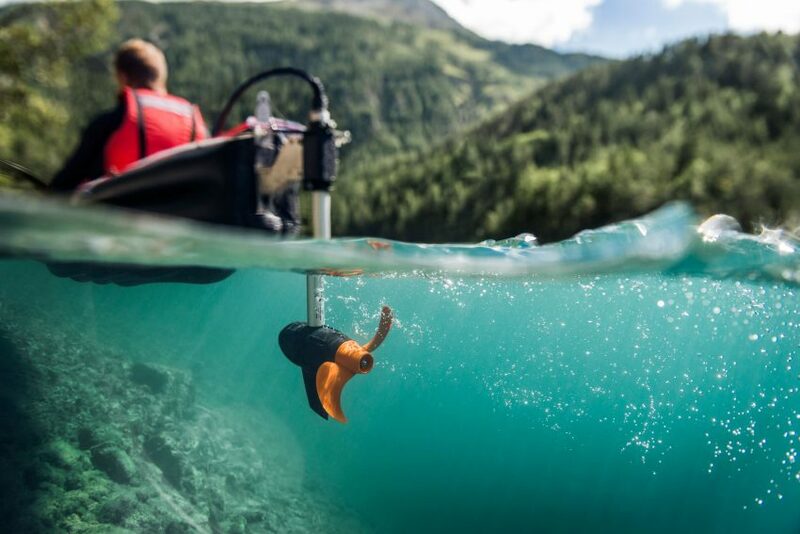 After eight weeks they had an electric outboard with overall efficiency of more than 50% converting battery power to propulsive power in the water—twice as efficient as traditional electric outboard motors. The addition of the lithium-ion battery, with its high energy density, gave a range of several miles. Assuming their outboard would stimulate rapid competition from well-established bigger players, they moved quickly and brought their motor to market in just 11 months. This was when they discovered that they had a lot to learn about building products for the marine environment. 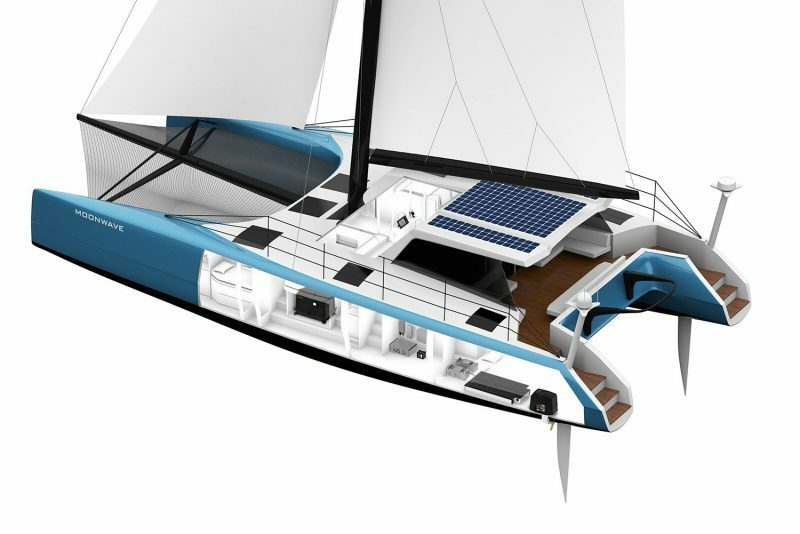 “We found it is very easy to outperform the competition on motor and battery technology but much harder to gain an understanding of materials issues in the marine environment, which the competition has understood for decades. We knew everything about electric motors and not enough about corrosion,” Ballin told me. Torqeedo had a painful few years. By 2010 their outboards were already into their third generation and had gone through considerable reengineering. This included galvanic isolation of the electric motor, so no zincs are required on the shaft, and waterproofing to IP67, a rating that requires the entire outboard to withstand full immersion to a depth of 1m (3.3′) for 30 minutes. During one demonstration a Torqeedo jumped off its transom and ran underwater until its battery went dead; it still worked when recovered by a diver a couple of weeks later. By 2010, Ballin and Böbel had around 15,000 battery packs in service and had seen “everything that can go wrong,” forcing them to make constant revisions. That year they also launched their fourth generation of batteries. 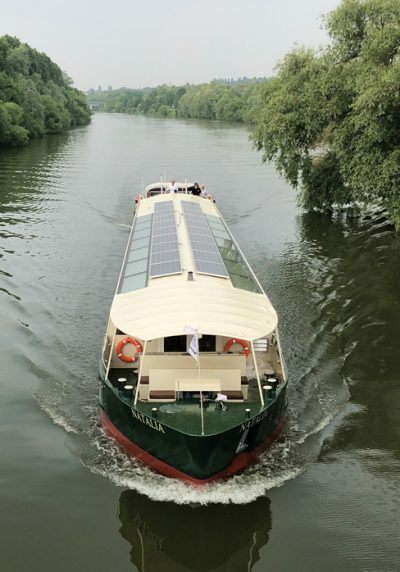 And Torqeedo’s motors showed up in all kinds of applications, mundane and exotic, such as the propulsion system for a classic solar-powered ferry. The two entrepreneurs had initially funded Torqeedo themselves, expecting to be profitable fairly quickly. Within a year and a half, the startup money was gone. They secured additional funding from angel investors and ran through that. They were winning all kinds of awards—German Startup of the Year in 2008, and a European Cleantech summit in 2009. Nevertheless, by 2010 they were broke again and forced to seek venture capital. They pulled in $4.7 million, which gave them a new lease on life, but in exchange they had to play by the rules of the venture capital investors. In principle, the VCs could have exchanged the management; they had to approve budgets, and gained the right to decide when and at what price to sell the company. In 2011 Böbel decided to leave. Torqeedo pursued a strategy that prioritized growth and brand recognition over profits. Year-to-year growth rates were phenomenal (from Torqeedo’s inception, the company grew on average by 35% annually). Ballin: “In the years of the financial crisis 2008–09 we only grew 20%, which made it difficult to raise money.” In spite of those challenges, in a few years their small Travel T1003 electric outboard motor sold tens of thousands of units. Another round of funding in 2012 raised an additional $5.6 million from venture capitalists, and Torqeedo embarked on an ambitious program of product development, initially with a 40-kW (50-hp) Deep Blue electric outboard, powered by a massive high-voltage (325V) lithium-ion battery pack adapted from the automotive world by Johnson Controls (and replaced recently with the battery pack from the BMW i3 electric car). In more recent years they filled in the entire range between the T1003 and Deep Blue with 4-kW, 10-kW, and 20-kW outboard motors and pod drives, powered by lithium-ion battery packs at varying voltages. There is even a 0.4-kW electric drive for kayaks. Torqeedo racked up , including prestigious DAME and IBEX innovation awards. And then along came successful technology entrepreneur Stephan Schambach. Sims’s optimism aside, Torqeedo has struggled to find, or build, a suitable range-extending generator to optimize this system. It experimented with products from other manufacturers, tried developing its own solution, and in February 2018 announced a partnership with WhisperPower, a Dutch company that has its own hybrid systems. The new 25-kW, 350VDC variable-speed generator is fully integrated into the Torqeedo system and is reported to achieve consistent fuel-consumption levels below 300 g/kWh (0.67 lb/hph), in which case it would outperform the peak efficiency of any stand-alone marine generator in the marketplace. But instead, the Volkswagen “Diesel­gate” scandal that affected German car­makers radically changed the political and technical landscape. Automotive manufacturers abruptly shifted research and development into electric vehicles. 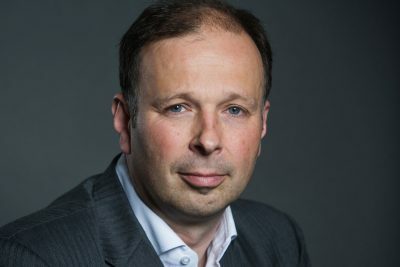 A new CEO at diesel engine manufacturer Deutz decided to fast-forward the adaptation of the company to the new reality. Deutz, a 150-year-old German engine manufacturer, went on the hunt for electrification expertise; in September 2017 it bought Torqeedo lock, stock, and barrel. Some, but not all, Torqeedo investors made good on their investment. 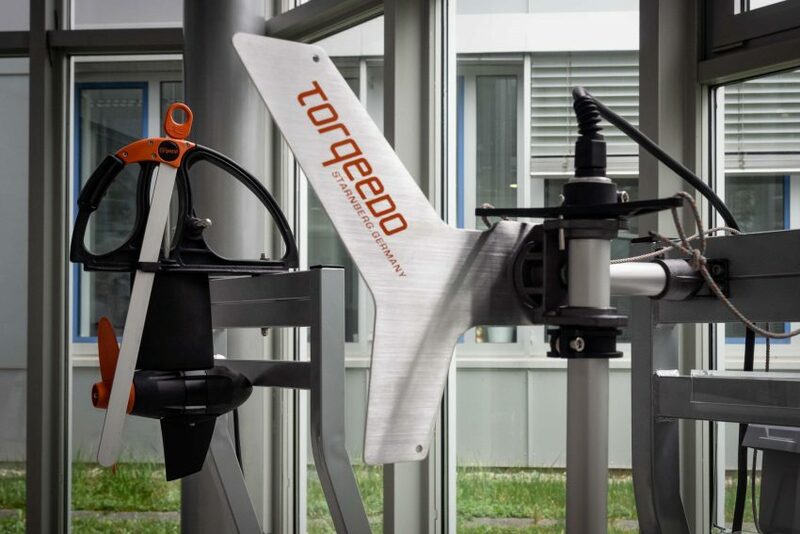 Torqeedo now has the funding to hire additional engineers, increase the pace of product development, and cement its position as the preeminent electric and hybrid propulsion company in the recreational marine world. Ballin explains that exchanging venture capital partners for an industrial partner brings not only financial stability but also Deutz’s industrial competence, component sharing, and economies of scale. It significantly enhances Torqeedo’s technical capabilities and will help drive down costs. 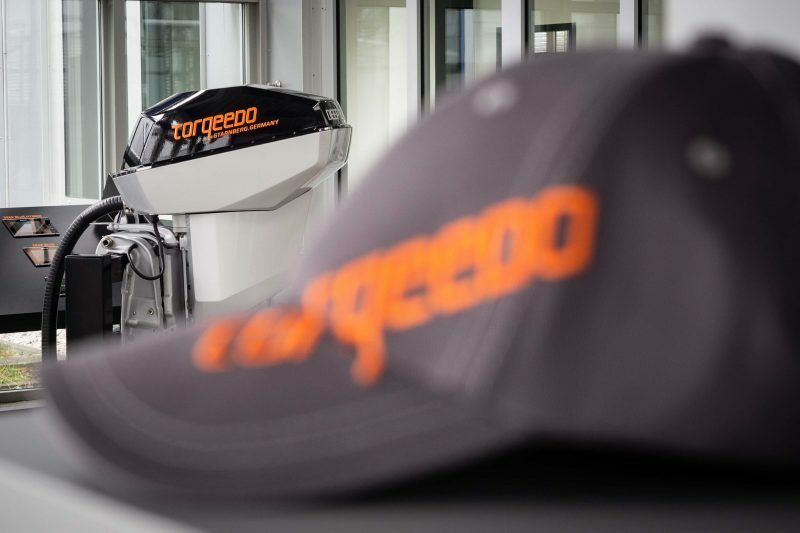 From its inception, Torqeedo positioned itself to be, in Ballin’s words, “the spearhead for clean electric mobility in boating.” However, because of the fragmented nature of the boating world, with multiple small niche markets, Torqeedo found “we can bring about change, but not in a broad-based disruptive movement. We are doing it by making changes in many small places.” Torqeedo has discovered that reinventing transportation doesn’t come cheap, or easy—a lesson currently being learned in boardrooms around the world. Ballin summarizes the company’s journey: “As a startup founder you may believe you are participating in a sprint, but while you are running you realize you are in a marathon. The struggle was a lot longer than I had imagined. I had thought five years maximum.” Torqeedo is now 14 years old. Between R&D investments and maintaining rapid growth, it has yet to make a sustainable profit. In 2003 Hawksley launched Hybrid Marine, assisted by a £45,000 (approximately $70,000) grant from the U.K.’s Department of Trade and Industry. His focus was on a serial hybrid (electric propulsion with a range-extending generator managed by a control system for optimum usage). By 2006, after three years of research and development, he had a working prototype on his own boat. My acquaintance with Hawksley and Hybrid Marine goes back to 2007. As part of ongoing research into marine hybrid options, I visited Hawks­ley at his home-based workshop. We went for an electric-powered ride up and down the Medina River in his boat. I recruited him to help work on a series of articles for Professional BoatBuilder (Nos. 107 and 108), which initially delved into the pros and cons of serial hybrid applications, and then, in the third installment (PBB No. 127), introduced the notion of a parallel hybrid (in which a diesel engine remains connected to the propeller shaft with an auxiliary electric “machine” that can be used for propulsion power and generation). These articles later became the technical foundation for a successful $3-million grant application to the European Union—the HyMar project—which investigated the viability of hybrid technologies in recreational and light-commercial marine applications. To provide data for the articles, Hawksley conducted a very detailed performance analysis of the boat, a Malö 46, I was having built in Sweden at the time, and then we explored fuel maps, specific fuel-consumption rates, and what a serial hybrid (diesel electric was the term I used at that time) would look like in my application. We discovered that for many anticipated duty cycles it was not easy to improve on the efficiency of a well-optimized conventional diesel installation. 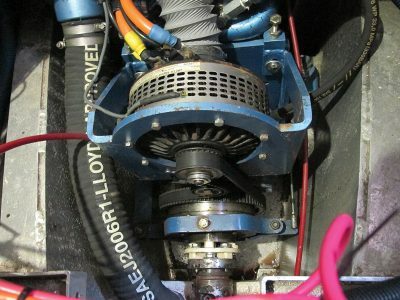 An early-generation, air-cooled, brushed “electric machine” used by Graeme Hawksley in his parallel hybrid systems was later replaced by liquid-cooled brushless machines. One outcome of our articles was a shift in Hawksley’s focus toward parallel hybrids. He realized that it is difficult to make a business case for going into production with a serial hybrid, “whereas a parallel system has a lot going for it. Rather than competing with an engine supplier, a parallel hybrid can enhance their products. A small company such as mine can work in partnership with engine manufacturers to develop, market, and sell systems. 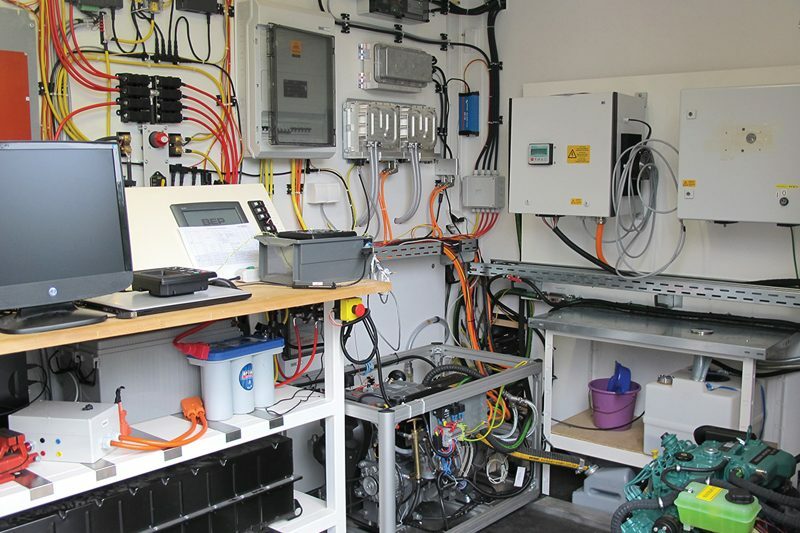 The pricing of these systems will be much more competitive than a serial configuration.” He found a customer willing to pay for a system, secured a £60,000 (approximately $90,000) government loan to fund the project, and, in 2007, soon after we met, produced his first commercial parallel hybrid system, which is still in operation. Although the overall configuration has changed little from the early days, the implementation is significantly different. Hybrid Marine has shifted from air-cooled, brushed “electric machines” (devices which can serve as both a motor and a generator) to more robust water-cooled permanent-magnet devices. It has refined the mechanisms for mechanically interfacing the electric machines with engines, while the control boards and software have significantly evolved. There have been substantial aesthetic advancements. The first passenger barge with massive battery banks and hybrid-propulsion systems from Hybrid Marine. 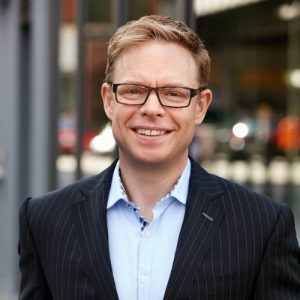 When I first met Hawksley 11 years ago, he was on a roll and full of enthusiasm and confidence about the commercial potential for his systems. “Nigel,” he told me, “within a couple of years I will be selling 100 systems a year.” I did not want to prick his bubble, but I knew that without significant outside resources he would not be able to gain that kind of market penetration any time soon. In the event, despite garnering various prestigious awards—the Mansura Trophy in 2008, the Practical Boat Owner Green Product of the Year award in 2009 and 2011, and a Shell Springboard Award in 2010—he was unable to secure the necessary level of funding. He did at one point catch the attention of a potentially significant investor, who made a loan that was convertible into equity if they got along, but they did not. Hybrid Marine eventually repaid the loan. There are upsides to this slow-growth strategy. Hybrid Marine has been in some kind of a profit since 2009, and, Hawksley said, “we have been able to pay the principals a reasonable wage for the last three years. It was about 2016 that sales developed to the point of properly supporting the founders, 13 years from the initial conception. There is some wisdom in the expression ‘to become an overnight success just takes 20 years of hard work.’” This past year, sales hit the £500,000 mark ($655,000), and Hybrid Marine has grown to three full-time employees and one part-time. Hawksley has an upbeat outlook: “We will continue to grow with the mar­ket and are seeing very strong business. We are now putting profits back into the business and are able to fund all development work ourselves.” Hybrid Marine may be in the unique position of making marine hybrids profitable. Hawksley tests an early-generation hybrid system in a shed attached to the side of his house. Torqeedo and Hybrid Marine are the technology leaders in their respective fields—serial and parallel hybrids—with well-tested products that should have significant market appeal. The problem has been getting the word out and finding customers. Torqeedo has done this by investing millions in marketing and in building a worldwide dealer network, with phenomenal year-to-year growth that has built a substantial company with hundreds of employees, but the effort has required a constant search for additional capital. The founders and early investors did not do well. Torqeedo has undoubtedly become the brand leader in its field but has yet to make a sustainable profit; it must surely be poised to do so now. Hybrid Marine has pursued a polar-opposite strategy of slow growth based on sales, without recourse to outside capital. It took a decade to reach even marginal profitability and another several years before the founders could pay themselves a reasonable wage. They are, however, still very much in control. Although the company has great technology, it is still not known outside a small niche market. The groundwork has been laid for sustained growth into the future, but it is still not clear to me how the founders will cash out when they want to retire or do something else. 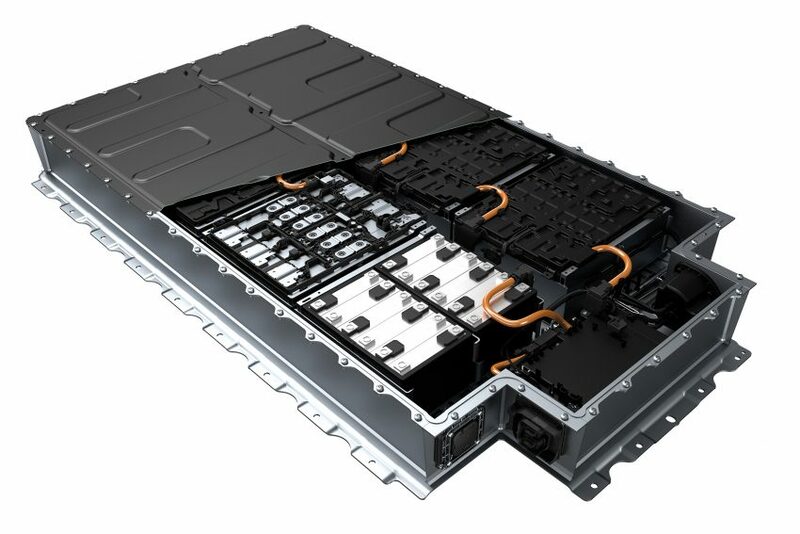 Using marinized automotive technology, Torqeedo added high-capacity batteries to their offering, like this unit that also is used in the BMW i3 electric car. Three industrial test machines at Torqeedo repeatedly flex electric cables, maintaining a count of the number of flex cycles, until the cables fail. 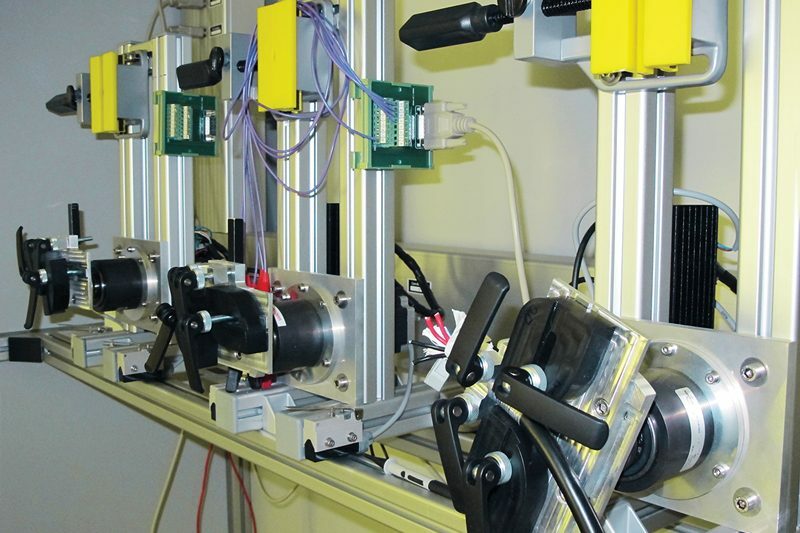 These machines are used to determine the suitability of different cables for Torqeedo’s applications. 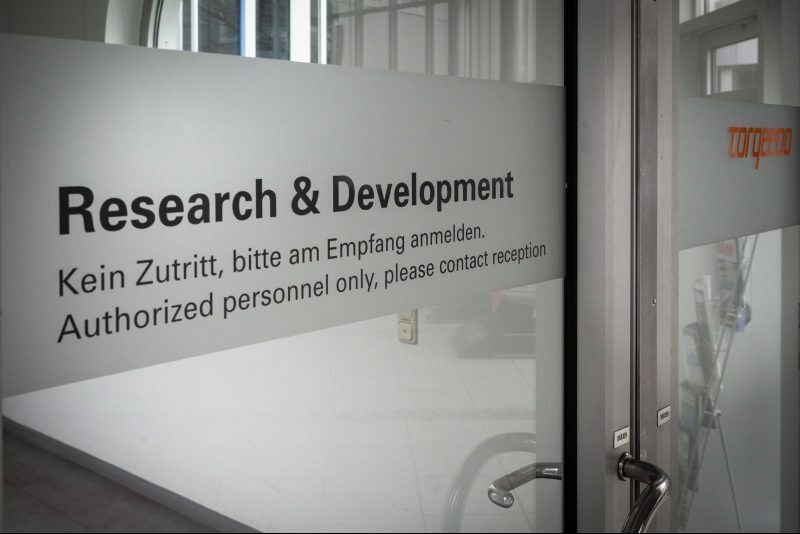 Research and development have been well funded as the company developed. 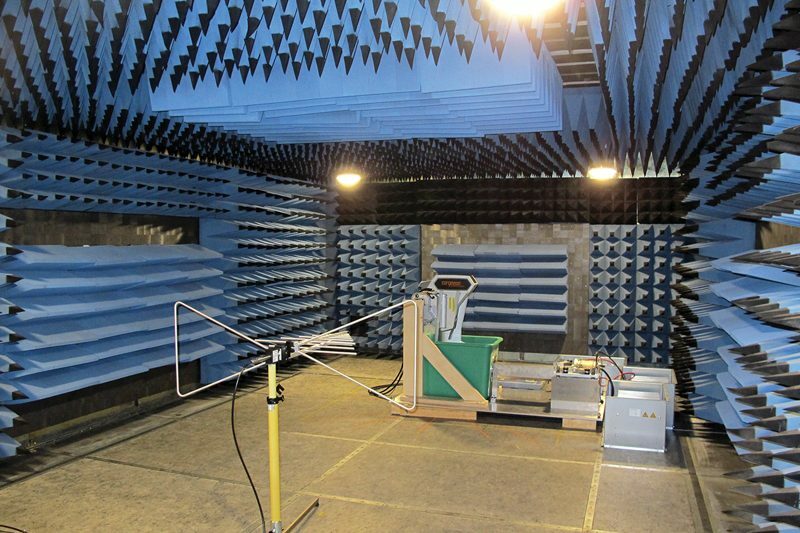 This industrial-scale electromagnetic compatibility, or EMC, test chamber is at the Torqeedo factory. 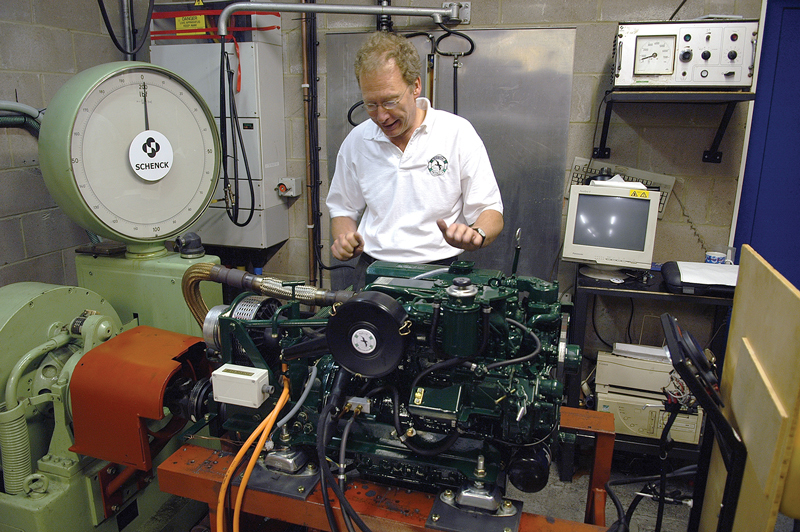 A high-voltage Torqeedo serial-hybrid system undergoes testing at the company’s factory.